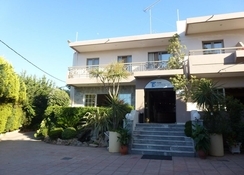 Pantheon is a budget hotel located in Rethymno, Crete. 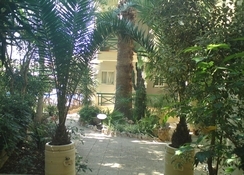 The hotel offers half board and bread and breakfast accommodations to all kinds of guests, families, friends and groups. There are 58 rooms come with vibrant, cheerful colours and modern furnishings like double or twin beds (extra bed available on request), air conditioning, telephone, satellite television, radio and music channels, refrigerator, in-room safe box, private bathroom, free WiFi internet, etc. 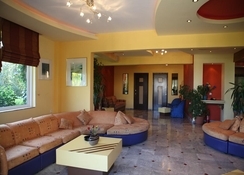 All rooms open up to a furnished balcony with sea, mountain or garden view. Housekeeping is done regularly to ensure a pleasant stay. Food is served buffet style at the hotel restaurant while beverages are served in the main bar and cafeteria.The menu varies from local to Greek to international varieties which you can enjoy both indoor as well as alfresco. In addition to the on-site facilites, there are multiple restaurants and bars in the surrounding area where you can find large selection of food and beverages. 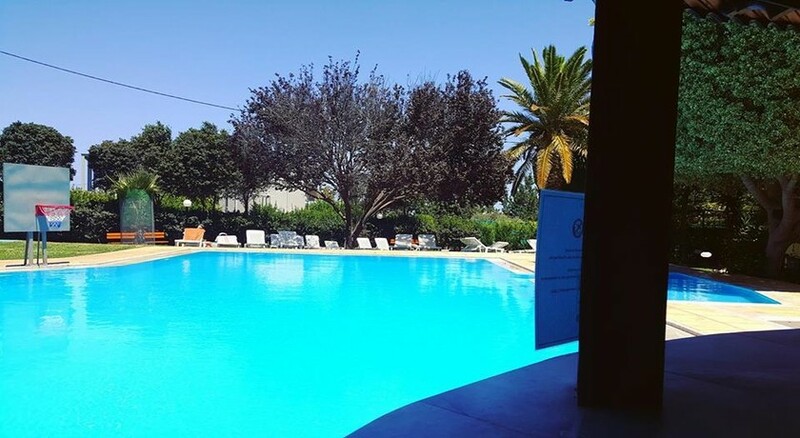 The recreational activities available on-site include outdoor swimming pool with sunbeds, paddle pool for children, table tennis, minigolf, a big screen television in the lobby, etc. There is a playground on site for children. The hotel animation team organises variety shows for guests of all ages. Altrenatively, you can enjoy the evening at any one of the nightclubs in the vicinity. Chania international airport is about 65 km away from Pantheon.The nearest beach is 2 km away from the property, and the nearest town is Rethymno at 3 km distance.There are many places to shop once you reach the town.These include Eleftheriou Venizelou, Rethymnon (5 km), Maroulas, Rethymn (13 km), Rethymno Souvenir Centre (5 km), The Greek Shop (5.3 km), etc. Another beach Atlantis is about 9 km distant from the hotel.